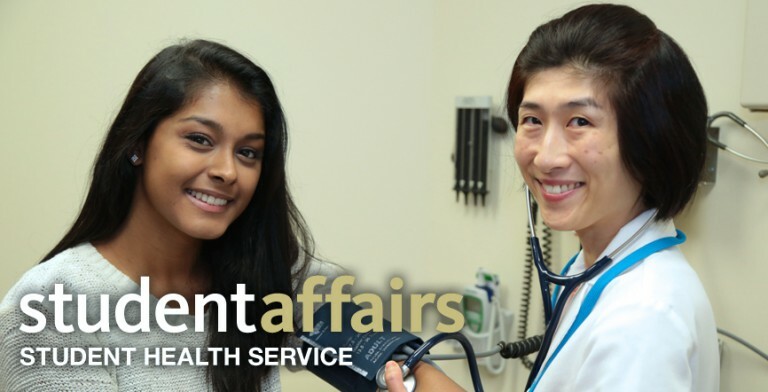 At Student Health Service, we pride ourselves on being your primary care provider away from home, offering excellent medical care through a full range of primary care services. Our clinic is staffed by a dedicated team of board-certified physicians, licensed nurse practitioners, physician assistants, registered nurses, and medical assistants. We provide both in-house referrals to Orthopedics/Sports Medicine and Physical Therapy, as well as outside referrals to specialists in the community. We work closely with other University departments, including the Pharmacy, Counseling Center, and Disability Resources and Services to meet your clinical needs. Monday, Wednesday & Thursday: 8:30 a.m. - 7 p.m.
Tuesday & Friday: 8:30 a.m. - 5 p.m.